As you reach the north side of the harbour, you will come face to face with Stonehaven’s oldest building, the county Tolbooth. 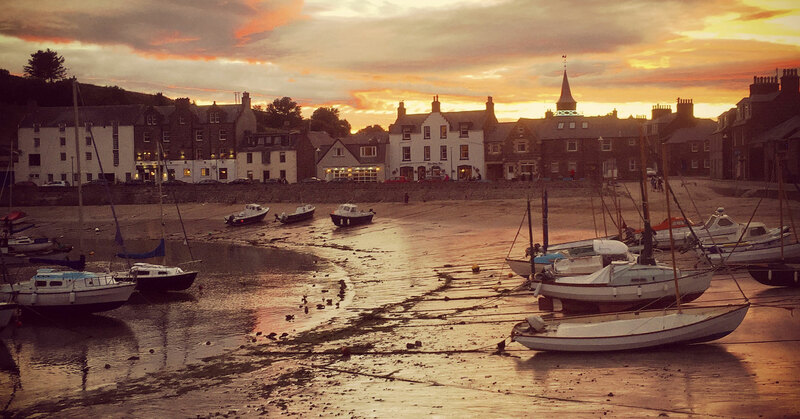 This 16th Century building has stood sentinel at the harbour through Stonehaven’s history, and events within its walls have had a deep impact on the town. It is generally agreed that the Tolbooth was originally constructed as a storehouse by the Earl Marischal, who owned the village of Stonehaven at that time. 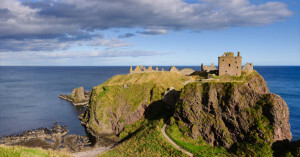 The Earl was refurnishing Dunnottar Castle at that time, and this building served as a useful quayside shed for provisions landed in the sheltered harbour. In 1600 this lowly shed was to find itself raised vastly in stature, as the town also became elevated in standing. The Earl Marischal decreed that the county town of Kincardineshire was to be moved from the inland hamlet of Kincardine to Stonehaven. It seems to have been a sensible choice, as Kincardine was barely inhabited and in no way able to cope with the circuit of courts held there. What this meant for Stonehaven of course, was that not only was the town’s prestige greatly enhanced, but they also had to find a venue for the court to sit in, and at this point, eyes turned to the shed at the end of the harbour. The court was to sit here from this point until 1767, and many varied cases were tried here – including that of one Agnes Moffat, hanged for the theft of five sheep. However, the court and jail was to receive some of its more notable victims after the failure of the 1745 Jacobite Rising. After William III took the throne in 1688 Episcopalianism, strong in the Grampian area, fell from favour, and things got worse after the 1715 Jacobite rebellion. Following extensive Episcopalian support for the Jacobite cause, harsh penal laws were passed making it illegal for ministers to preach to more than nine people at the same time. After the Episcopalians renewed their support for the Stuarts in the ’45, the full weight of Hanoverian vengeance came down on them – the number of those attending services was reduced to four, and Episcopalian churches were burned to the ground. It was in this atmosphere that three local ministers were brought to the Tolbooth to answer charges that they had preached to more than the legal limit. In front of an angry crowd, composed mainly of their parishioners, the three clergymen, John Troup, John Petrie and Alexander Greig, were found guilty and sentenced to a period of incarceration in the Tolbooth. 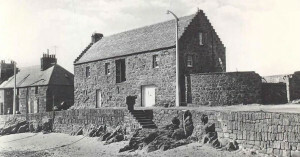 The ministers were to spend six months locked up here, but, despite this, they continued to minister to their flock as best they could, as their congregations gathered outside the window of the gaol for services, after which Mr Troup would entertain them with spirited renditions on the bagpipes. The devotion of the Episcopalian flock of Stonehaven is best illustrated by the womenfolk of the town, who would bring new-born babies to the prison window, after wading through knee-deep seas and scrambling over rocks, in order to have them baptised.